Home news politics Anambra PDP: Grass-root faction disowns Obaze - he’s not our party‎ member. Anambra PDP: Grass-root faction disowns Obaze - he’s not our party‎ member. 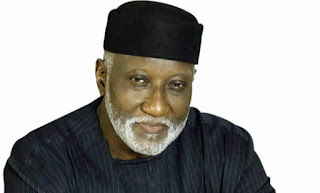 and disowned the party’s candidate in the November 18 governorship election, Mr. Oseloka Henry Obaze. The faction which goes with the name Anambra Grassroots Movement (AGM) and made up of the original PDP members and leaders declared that Obaze was not a registered member of PDP. They also gave the National Working Committee of the party five days to select from among the other aspirants who bought the party’s form for the primary election and replace Obaze or have them declare support for any candidate of other political party of their choice. Making the decision of the group known, Prince Emeakayi said, “We are calling on the National leadership of the PDP to please do the needful, we are threatening, is not a threat but we are giving the PDP five days from today to do the needful. “Reason, Oseloka Henry Obaze is not a registered member of PDP therefore as we speak PDP do not have a legitimate candidate for the election. “We calling on the PDP leadership to do the needful, if after five days, there are credible and qualified members of PDP, Princess Adaeze Stella Oduah, Prince John Emeka, Hon. Linda Ikpeazu, Dr. Alex Obiogbolu and Dr. Ifeanyi Ubah all bought form and contested, we are calling on the National leadership of PDP to choose from any of the five. Any of them chosen will be a legitimate candidate of the party. “You cannot bring someone who is not qualified and he goes in for the people, Oseloka Obaze first of all should go to his ward and register, as state chairman I have his ward register which the ward chairman submitted to me and his name is not there. If PDP fails to do the needful as we recommended, two things will happen; one, we shall invite security operatives to investigate the forgery and fortification committed by Oseloka Obaze and his cohorts. He further said that the original PDP members must be part of putting the next government in the state adding that they were ready ensure that PDP contest and win the election if the PDP leadership do the needful. Talking about the non violence campaign he said, “We are here to flag off our enlightenment campaign and awareness for non violence election and credible election in Anambra state, where every vote must count. We have a duty and our duty is to educate our people and to carry the message to all the nooks and cranny of Anambra state, to tell our people that no violence. If you are strong show it with your vote not in violence. “Those hoping on rigging we are saying no, every vote must count in Anambra state, election in this state must be credible and the people must be allowed to decide who they want as their governor and not by any manipulation. They also enjoined the political parties to refrain from any act that might trigger violence stressing that a political party that chooses to manipulate the process was only inviting anarchy and violence, hence the need for all the political parties to conduct their businesses within the ambit of the law. “If you know your candidate is not qualified to contest the election and you are making efforts to impose the person on the people, it is an invitation to violence and we are saying no to you. There must be peace and security for political parties to even function,”‎ he added. Also speaking a formal national officer of the party, Chef Okey Ezenwa decried the actions of the party in trying to chase away those who worked and suffered for the party.